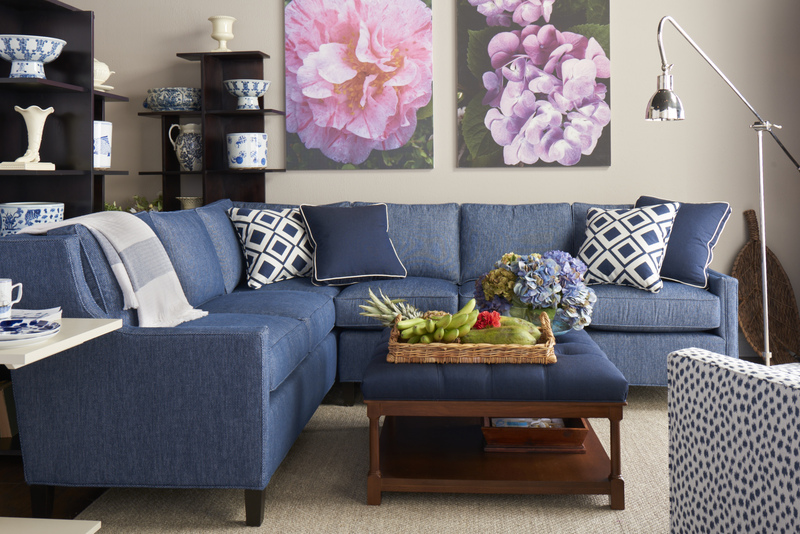 Blue & White for a fresh look at Islands decor. The Joie Sectional was very well received. It is covered in Sunbrella Tailored/Indigo. 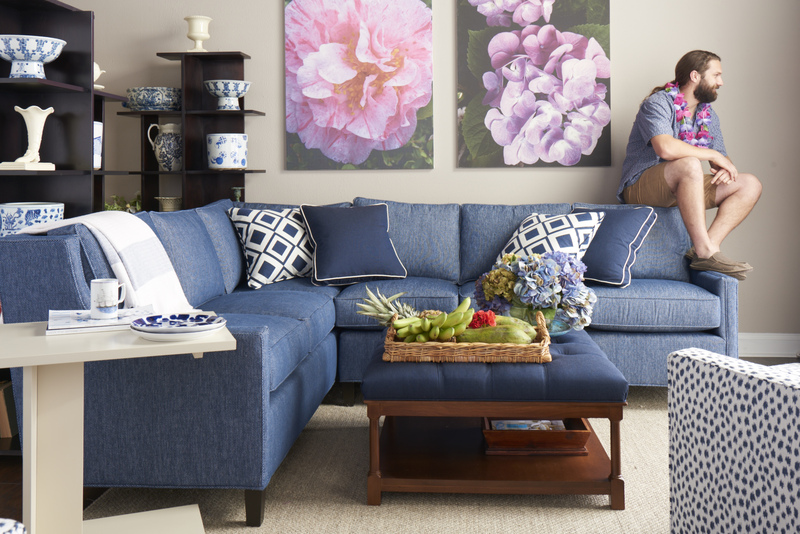 This ultra sofa fabric will be formally introduced at Showtime ITMAS in December in 12 colors. 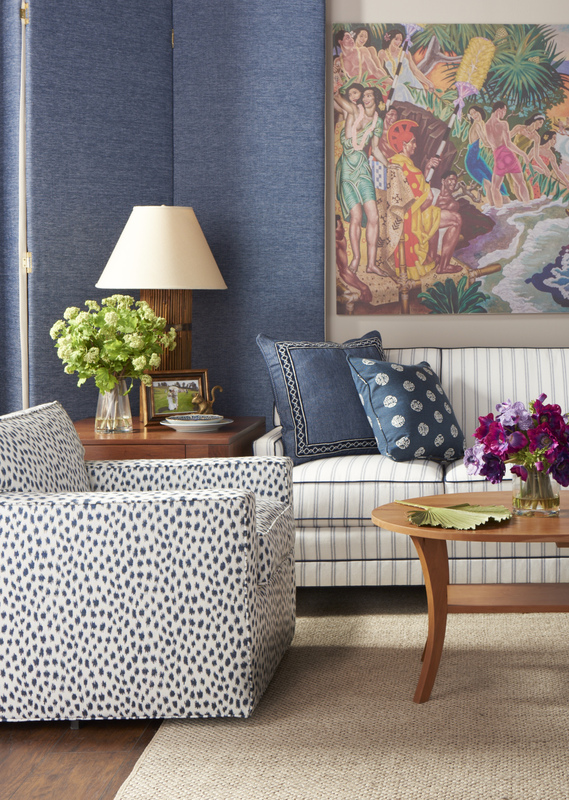 The Kelton Swivel club chair was also very well received covered in Sunbrella pattern Agra/Indigo.